Online advertising lets you target your ads to the type of customers you want, and filter out those you don’t. When you advertise online with AdWords, you can reach potential customers in real-time and grow your business. A one-time set up fee covers the cost of setting up your Google AdWords account – identifying keywords, creating campaigns and ad groups, structuring ad copy, implementing geo targeting, bid strategy, ad extensions and conversion tracking. Our monthly management fee varies based on your campaign budget and marketing objective(s). Much is needed to maximize results within the competitive world of online marketing. It is necessary to monitor, analyze, revise and report on a regular, ongoing basis. This ensures your accounts are always performing at best and your money is well spent. 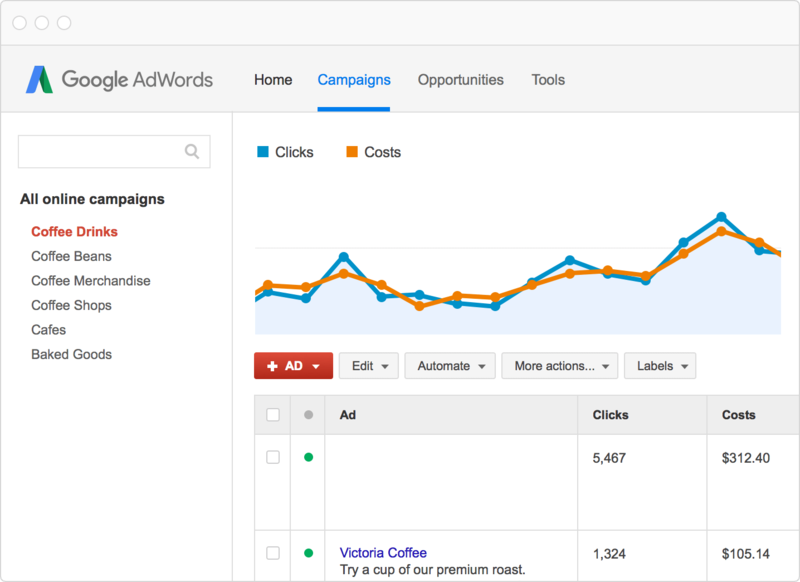 Month-to-Month AdWords Management may be cancelled at any time with 30 day notice. Only written or E-mail request will be accepted. Our service terms are: Monthly, Semi-Annual and Annual. The setup fee is waived for annual packages*.